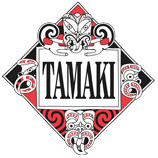 We were approached by a marketing agency to design and build a new website for Tamaki Maori Village. We were excited to be involved in another New Zealand tourism website. We know that for tourism operators their website is the strongest marketing tool to showcase their business to their potential visitors, and we take this responsibility seriously. Tamaki Maori Village had clear design ideas from the outset of the project, so the stunning end result was a true collaboration and a great success. The Tamaki Maori Village website was in need of a complete overhaul to bring it in to the 21st century & up to tourism standards. The SunRoom team were exceptional to work with! They delivered on a tight schedule, & at the end of the project we were given a completely responsive & optimised website – that looks great! We can see that our visitors are more engaged with us online & they are enjoying the user friendly experience created by the SunRoom team.